About GCC Standardization Organization (GSO) and Exporting engine oils. GCC Standardization Organization (GSO) is a regional Organization which consists of the National Standards Bodies of GCC member States. One of GSO main functions is to issue Gulf Standards also Technical regulations through specialized technical committees (TCs). The Gulf standard is concerned with lubricating oils for internal combustion engines suitable for gasoline and diesel engine services (excluding marine application) according to API performance classifications. *GSO 126/1990 “Methods of Sampling lubricating Oils”. *GSO 873/1997 “Determination of Apparent Viscosity for Engine Oils at Low Temperature Using the Cold Crank Simulator”. *GSO896/1997 “Determination of Phosphorous Content in Lubricating Oils and Additives”. *GSO1078/2003 “Determination of Kinematic Viscosity and Dynamic Viscosity for Petroleum Products”. *GSO ISO 2909/2008 “Calculation of Viscosity Index from Kinematic Viscosity”. *GSO ISO 3771/2011 “Determination of Base Number-Perchloric Acid Potentiometric Titration Method”. 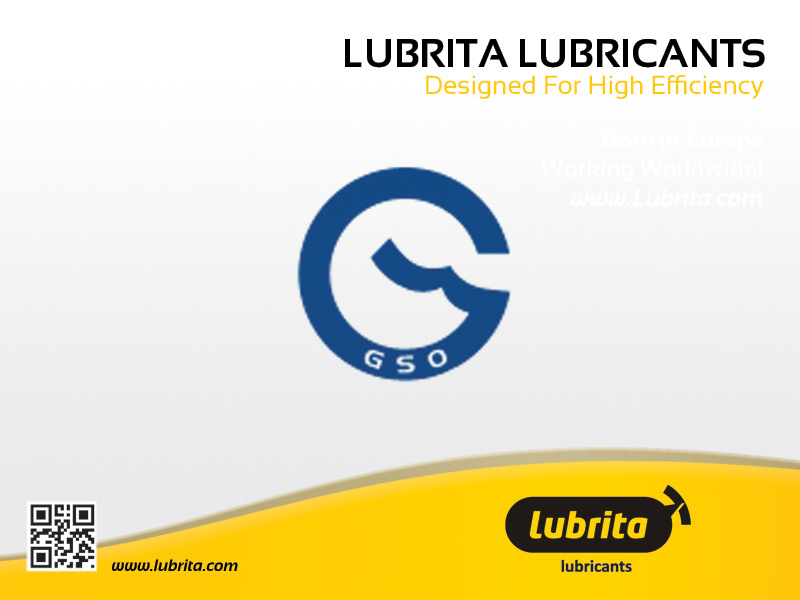 *GSO ISO 6247/2008 “Determination of Foaming Characteristics of Lubricating Oils”. Also it can be separate mineral oil base types according to whether they are Conventional or hydro-processed. Conventional base oils are refined using traditional methods (applying chemicals) and tend to leave undesirables behind, such as sulfur, oxygen, nitrogen and carbon compounds, and trace metals. These can affect the performance of the oil.Mineral base oils that have been hydro-processed have undergone additional, more advanced refining processes than their conventional counterparts. The name "hydro-processed" is derived from the fact that refineries use hydrogen reactions (in a process known as hydro-cracking) to remove impurities. When base oils are subjected to even more hydroprocessing, they attain the status of “severe” hydroprocessed oils, which means they contain minimal amounts of impurities. Hydro-isomerized mineral oils reconstruct cracked waxes into branched paraffin’s. This technology is growing globally to meet global standards for lubricants. Base stock: Mineral or synthetic oil or mixture of both. Additives: Chemical materials designed to be mixed with base stocks to enhance its performance properties. Lubrication: The act of adding lubricating oil to reduce friction and wear between the moving parts, to control the increase in temperature rise caused by the friction, to minimize corrosion and to remove residues resulting from internal combustion. Lubricating oils are classified according to viscosity based on SAE classification. Multigrade oils are the combination of winter (W) and summer grades. Lubricating oils are classified according to performance based on API classification. The lubricants covered by these categories are for gasoline passenger cars, some trucks and off-highway equipment. (Service category “S”). Note: The letter following service category “S” indicates the performance category of the oils. Category SJ was adopted in 1996 to describe engine oil and was first mandated in 1997. It is for use in service typical of gasoline engines in present and earlier passenger cars, van and light trucks operating under vehicle manufacturer’s recommended maintenance procedures. Oils meeting API SJ requirement have been tested according to The American Chemistry Council (ACC) Product Approval Code of Practice and may utilize the API base oil interchange and viscosity grade engine testing guidelines. (They may be used where API Service Obsolete Categories SH and earlier categories are recommended). Note: SJ represents the minimum category used in this gulf standard. Category SL was adopted to describe engine oils for use in 2001. These oils are use in service typical of gasoline engines in present and earlier passenger cars, sport utility vehicles, vans and light trucks operating under vehicle manufacturers, recommended maintenance procedure. Engine oils that meet API service category SL requirements have been tested according to the American Chemistry Council (ACC) Product Approval Code of Practice and may utilize the API Base Oil Interchange and Viscosity Grade Engine Testing Guidelines. They may be used where API Service Category SJ and earlier categories are recommended. Category SM was adopted for use in describing engine oils available in 2004. These oils are for use in service of gasoline engines in current and earlier passenger cars, sport utility vehicles, vans, and light-duty trucks operating under vehicle manufacturers recommended maintenance procedures. Engine oils that the API Service Category SM designation may be used where API Service Category SL and earlier S categories have been recommended. Engine oils meeting API Service Category SM requirements have been tested according to American chemistry Council (ACC) Product Approval Code of Practice and may utilize the API Base Oil Interchangeability and viscosity engine testing guidelines. API Service Category SN was for use in describing Engine Oils available in 2010. These oils are for use in service typical gasoline engines in current and earlier passenger cars. Sport utility vehicles, vans, and light-duty trucks operating under vehicle manufacturers recommended maintenance procedures. The API lubricants Group finalized the user language and test requirements for both API SN and its supplemental Category-Resource Conserving (RC). This new supplemental category expands the previous Energy Conserving supplemental Category (which provided only fuel economy claims) by also adding greater emission system protection, turbocharger protection and enabling engines to operate on ethanol-containing fuels up to E85. API SN, when licensed with Resource Conserving, is equivalent to ILSAC GF-5. The first allowable license date for API SN coincides with the ILSAC GF-5 first license date of October 1, 2010. Categories for Diesel Engines Oils. The lubricants covered by this category commercial (category “C”) cover diesel engine trucks and diesel powered off-highway equipment (fleets, contractors, farmers, etc.). Note: The letter following commercial category “C” indicates the performance category of the oil. CH-4- 1998 Severe – Duty Diesel Engine Service. API Service Category CH-4 describes oils for use in high speed, four- stroke cycle diesel engines used in highway and off-road application. CH-4 oils provide effective control over engine deposits, wear, corrosion, oxidation stability and soot accumulation. These oils are especially effective in engines designed to meet 1999 emission standard and may also be used in engines requiring API Service Category CG-4. Oils designated for this service have been in existence since 1999. CH-4 oils are engineered for use with diesel fuels ranging in sulfur content up to 0.5% weight. CI-4-2002 Severe Duty Diesel Engine Service. The API CI-4 Service category describes oils for use in those high – speed , four- stroke cycle diesel engines designed to meet 2004 exhaust emission standards and was implemented in October 2002 . These oils are compounded for use in all applications with diesel fuels ranging in sulfur content up 0.05% by weight. These oils are especially effective at sustaining engine durability where Exhaust Gas Recirculation (EGR) and other exhaust emission component may be used. Optimum protection is provided for control of corrosive wear tendencies , low and high temperature stability , soot handling properties, piston deposit control , valve train wear , oxidative thickening, foaming and viscosity loss due to shear. API CI-4 oils are superior in performance to those meeting API CH-4, CG-4 and CF-4 and can effectively lubricate engines calling for those API Service Categories. API Service Category CI-4 engine oils that also carry the classification CI-4PLUS are formulated to provide a higher level of protection against soot-related viscosity increase and viscosity loss due to shear in vehicles powered by diesel engines. CJ-4-2007 Severe Duty Diesel Engine Service. API service category CJ-4 describes oils for use in high-speed, four-stroke cycle diesel engines designed to meet 2007 exhaust emission standards as well as for previous model years. Engines using this higher performance motor oil can experience significantly less wear in the valve train and power cylinder areas of the engine. In addition, API CJ-4 motor oil provides increased protection against heat and increased soot handling capabilities, which can help enforce engine cleanliness. API CJ-4 oil will be required to protect the engine and allow for maximum durability of the exhaust after-treatment system. 2007 diesel engine will also require the use of Ultra-low sulphur Diesel fuel. In 2007 the fuel sulphur levels for off-highway are being reduced to 500 ppm – the same as today’s on-highway stand-and has demonstrated the performance and suitability of API CJ-4 oils in millions of miles of testing using conventional <500 ppm sulphur fuel operators of off-highway who also have on-highway trucks can benefit from the convenience of one oil for virtually all applications. Standard of American Petroleum Institute (API). American Society for Testing and Materials (ASTM), ASTM D4485 “Standard Specification for Performance of Engine Oils”.